Apologies that my Olympic track cycling round-up never really happened. I don’t feel too bad about neglecting my duties though. I figure you probably heard the results from some little-known media outlet like the British Broadcasting Corporation or somesuch. Great Britain won most events with that success largely built around the Laura Trott-Jason Kenny household. Their domestic life must be a whirlwind of protein shakes and 9pm bedtimes. So on to the Vuelta, my favourite race of all and to prove that my neglect isn’t limited to indoor cycling, I haven’t done a preview. That’s what team time trials are for though. They’re an introduction, so here are a few names to keep an eye on from the outset. Chris Froome, Alberto Contador and Nairo Quintana shouldn’t really need any introduction, so I’m not going to give them one. Quintana’s team-mate Alejandro Valverde is also more than familiar, but gets a special mention because he’ll have raced all three Grand Tours this year. Adam Hansen does this year after year as a matter of course, but there is a key distinction. Hansen rides the Grand Tours. Depending how he goes in this Vuelta, Valverde will be racing them. Third in the Giro and sixth in the Tour, the Spaniard’s had to be at the sharp end daily. Giro runner-up, Esteban Chaves has to be worth watching. He’s improving with every race and skipped the Tour de France to focus on this. Much the same can be said about the almost comically broad-shouldered Steven Kruijswijk who came fourth in the Giro and will again be goading me by repeatedly making me type out his surname. British interest comes in the form of the other twin, Simon Yates, but keep an eye out for the all-but-unknown Hugh Carthy as well. The young scrawnbag is visibly a climber and has some solid results this year. 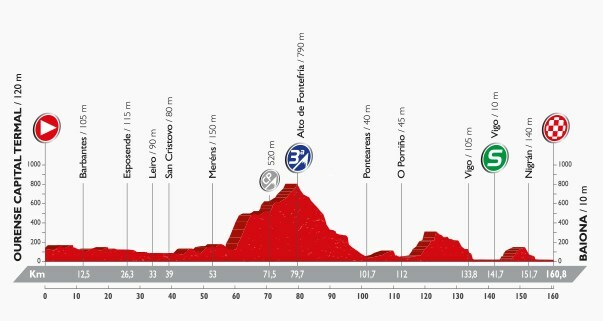 The famously hilly Vuelta should suit. Carthy isn’t the only youngster to watch out for either. Astana are without Vincenzo Nibali and Fabio Aru and instead throw their support behind Miguel Angel Lopez. What little racing he has done has pretty much all been spectacularly succesful. There’s a sizeable tier of strong stage racers who I could mention at this point, but you can never quite be sure who’s racing the Vuelta to win, so maybe we can just come to them as the race wears on. What happened on stage one? A typically ridiculous Sky megateam won the team time trial and Peter Kennaugh crossed the line first. The performances of Geraint Thomas and the Yateses allied to an injury and slow recovery mean that Kennaugh has become the forgotten man of British stage racing. It’ll be interesting to see how he fares in this race – although it’s also worth noting that Leopold Konig is most likely first reserve team leader should Chris Froome ride into a lamp post or something. Alberto Contador lost near enough a minute, which is no bad thing as it should encourage uphill attacks from early in the race. 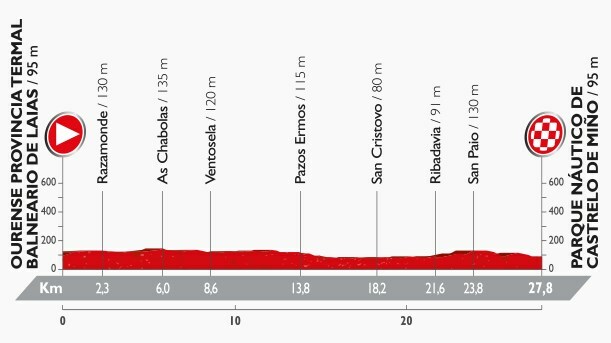 A sprint stage in a race almost entirely devoid of sprinters and certainly lacking any that you’ve actually heard of. Regular readers will also be disappointed to hear that the organisers aren’t listing local delicacies for each stage. They’re instead focusing on ‘geodiversity’. Not sure this one’s going to prove quite as popular with you all. Today’s stage term is ‘felspar’ – a mineral found frequently on the continental crust. Along with quartz and mica, it makes up the majority of granite rocks, metamorphic rocks and sand found all over the world.